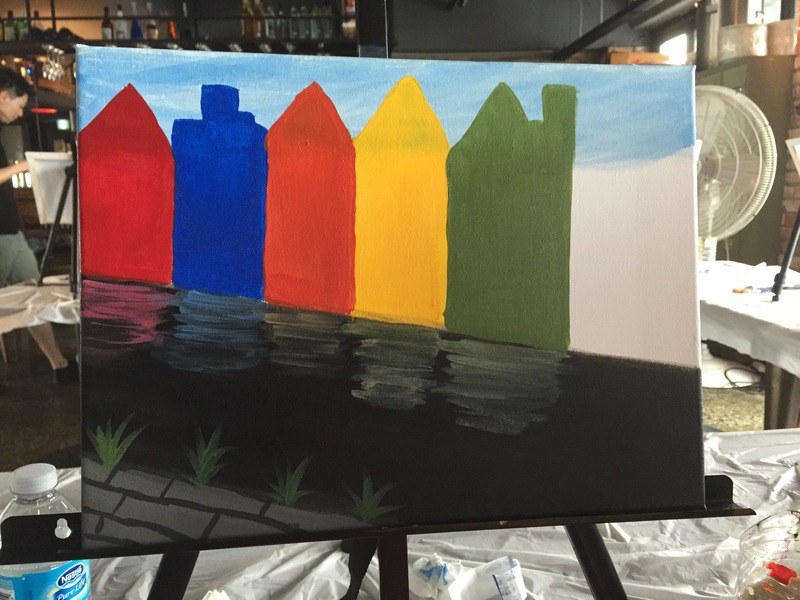 So I have heard of Painting Parties in the U.S. where you go and have a couple of drinks while painting. Well they are also trying this same concept here in Seoul. A few of my friends and I signed up to try out our artistic abilities. 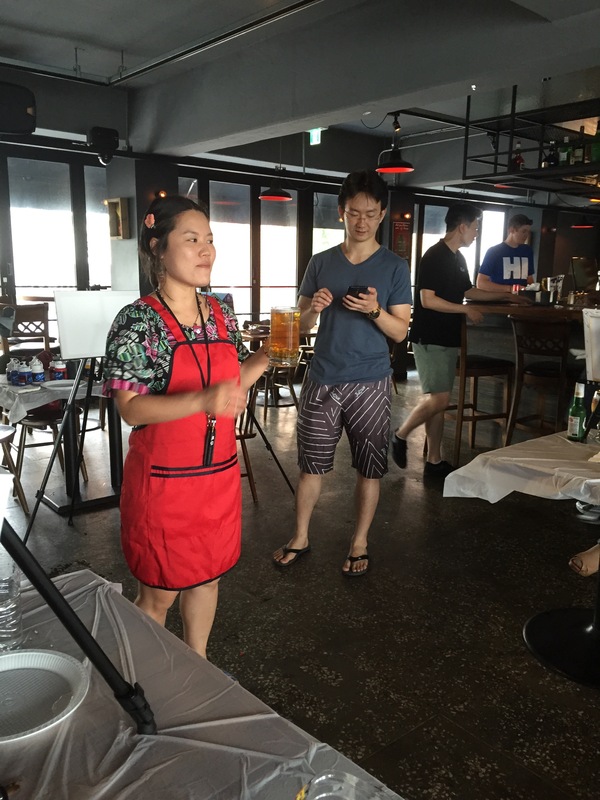 The session we signed up for was held at JR’s Barbecue in Itaewon (it is located on the main strip). They set up on the 3rd floor (so we basically had a private area) with all of the art supplies and we were able to order food and drinks while we were there. You can find out about upcoming events for Paint Parties via their Facebook site. So as we waited for all the participants to show up, we ordered a few appetizers and drinks. The drinks were moderately priced (I got a pear cider for 7,500 won) and the food was decent (tried the cheese fries and quesadillas). After we got all settled in with the food and drinks, the painting party started and our instructor had us all introduce ourselves. There were people from all over the world there! Then she told us that we were using acrylic paint and painting on canvas. She said we would be getting 5 total colors and that we would be mixing the colors to get additional shades. 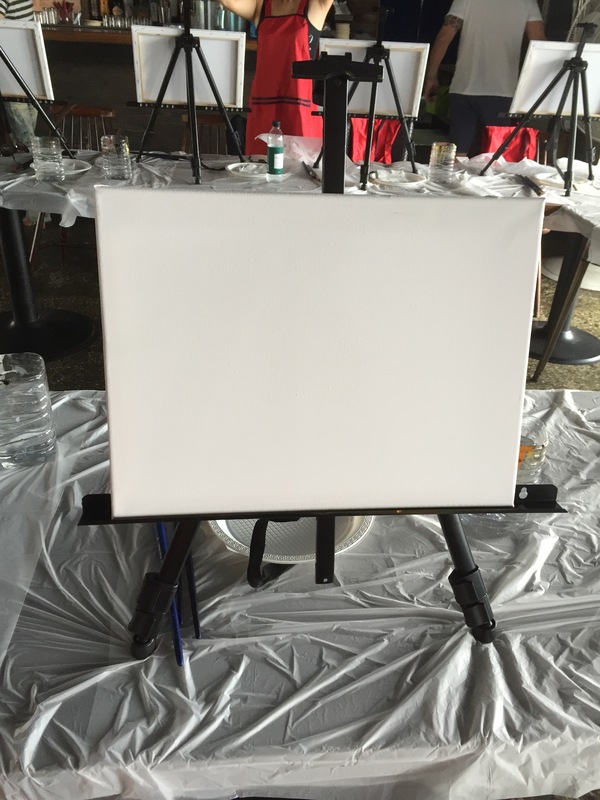 Here’s my blank canvas ready to go! 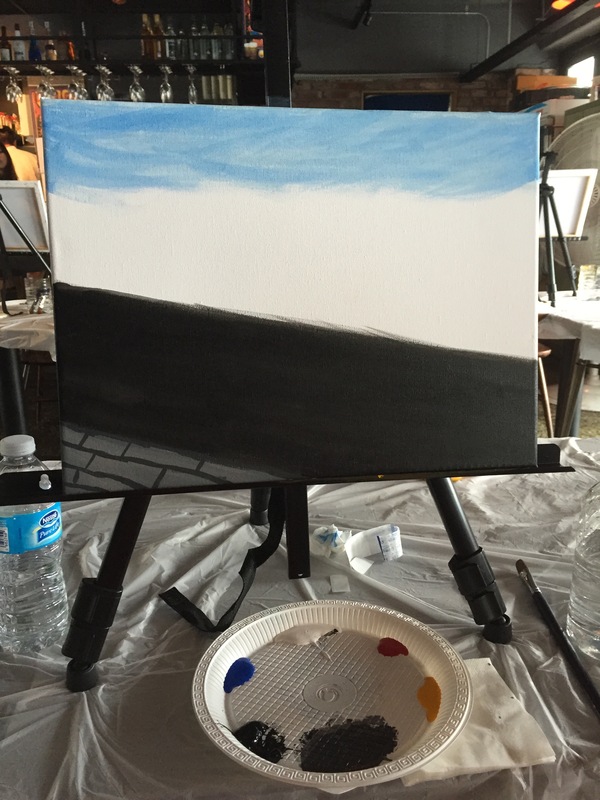 We started with the sky and then painted the river and then the brick road. Then we were able to start work on the houses from left to right. Overall, it was fun trying to replicate a work of art. Definitely not easy! But don’t worry, even if you haven’t painted since using watercolors in kindergarten they will help guide you step-by-step through the process. Maybe you’ll find your hidden talent and even get to hang it on the wall in the principal’s office! I was pretty proud of the job I did and I would try another Painting Party the next time they have it. 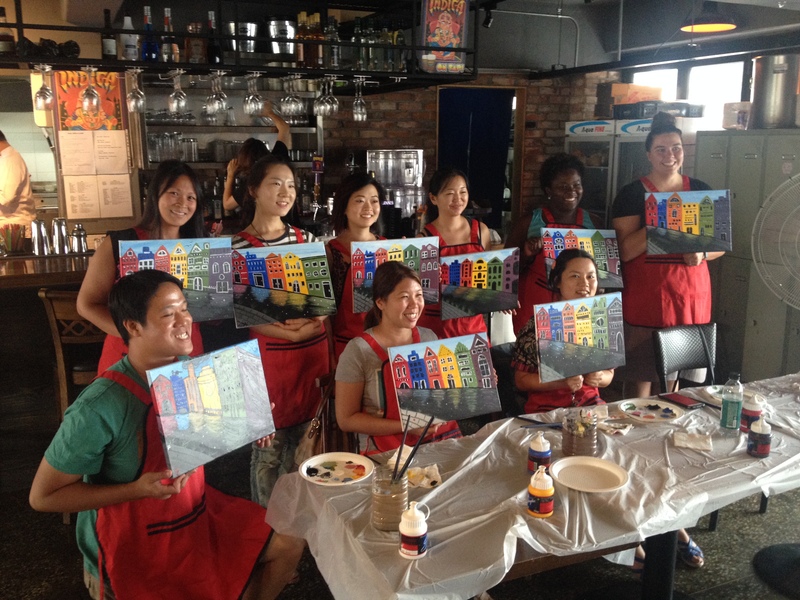 It was fun to relax and paint with a group of my friends.